Beanstalk allows you to integrate with Lighthouse. Lighthouse is a task and bug management system which offers basic integration with Subversion. Each time a commit is made, a simple tag-based syntax is used to manipulate or edit cases in Lighthouse. After you have created your Beanstalk account, and created your repository, you can integrate the repository with Lighthouse. In order to integrate Lighthouse with Beanstalk, you need to setup the integration settings within your repository. To do this, go to your Repository, then Settings → Integration → Lighthouse. To get started with the setup, click on Lighthouse icon, and then on Activate integration button inside the page. On first step, you will need to specify your Lighthouse account URL. After inserting an account name, you will be redirected to a page where you will need to insert tokens. Tokens are the connection between your users in Beanstalk and Lighthouse. You will need to create the tokens in your Lighthouse account. In order to create a token, go to your Lighthouse account and click on your name in the top right. 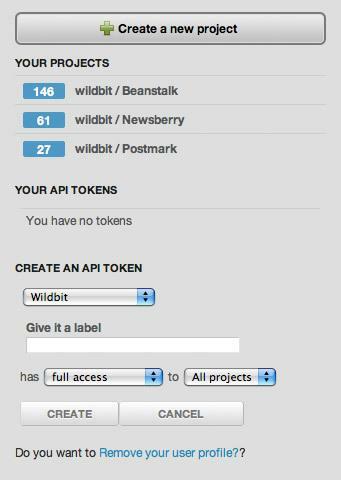 You will see a section in the middle of the sidebar called "CREATE AN API TOKEN". Select the account that you want to add the token for from the dropdown, then insert the label of the token and click create. You should see your newly created token in "YOUR API TOKENS" section now. 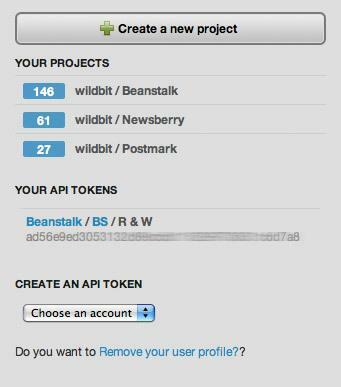 After you created the token, copy/paste the token into Beanstalk. Each Lighthouse user will need to create a token. 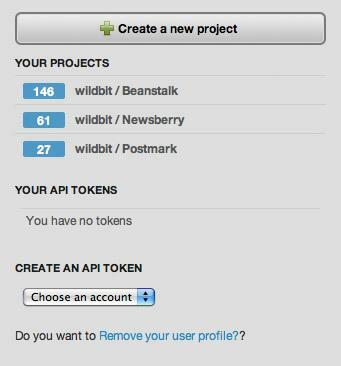 Now all you need to do is select the Lighthouse project you would like to integrate with in Beanstalk. The #15 will add this log message as a comment to ticket #15. You can also change various properties. This commit message will add a tag, set responsible user, set milestone, and change state of the ticket in Lighthouse. Assign option matches first name only, if there are two users with same name, it will match by first letter of alphabet on last name. tagged - Adds the tag(s) to the ticket, but does not replace them. assign - Sets the user responsible for the ticket. Use assign:none to clear it. milestone - Sets the milestone for the ticket. Use milestone:none to clear the milestone. state - Sets the ticket state. Valid values are: new, open, hold, resolved, and invalid.